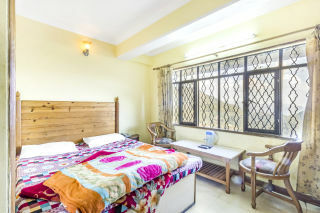 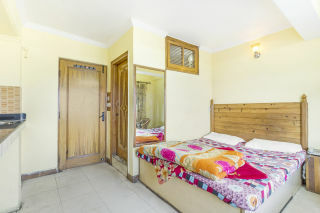 This is an offering of a private room in a guest house that can accommodate up to three guests, which makes it an ideal stay for backpackers or solo travellers. 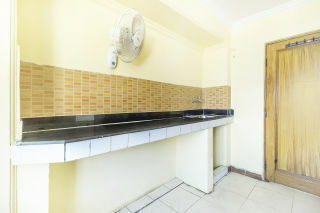 The property houses a kitchenette and also has a sufficient parking area. 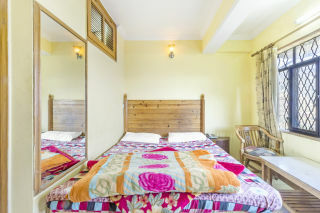 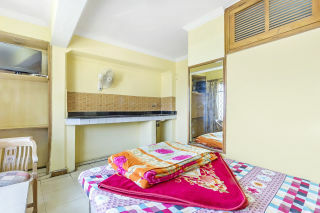 Your Space This guest house has a spacious room on offer done in warm yellow hue, which lends a soothing touch to the space. 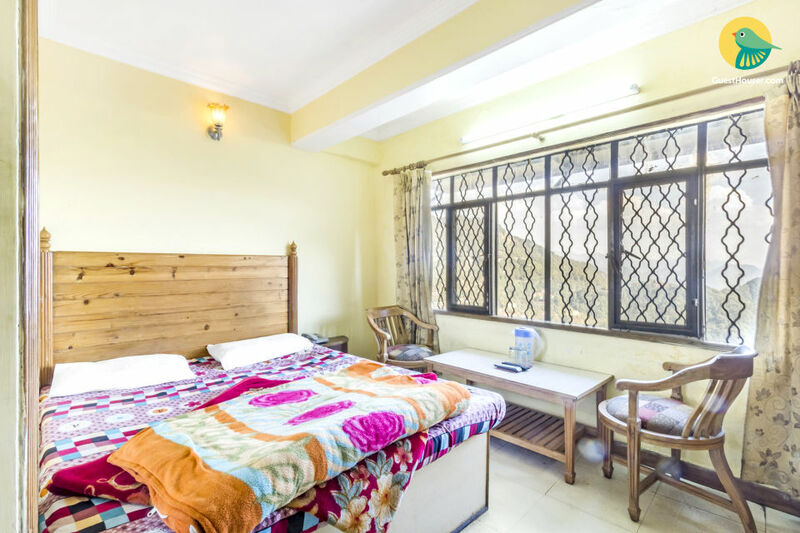 The room is appointed with a comfy double bed with a wooden headboard, a mirror, and coffee seating is also placed by the window with iron grills, thereby making for the perfect place to savour cuppa. 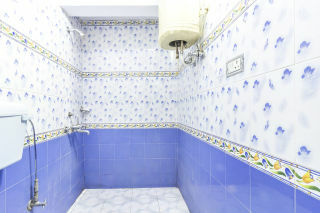 The bathroom is well designed and appointed with modern sanitary ware. 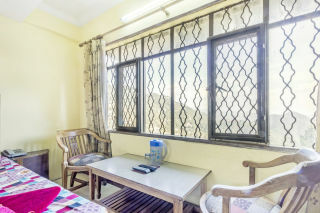 Mussoorie Bus Stop - 3 km approx.